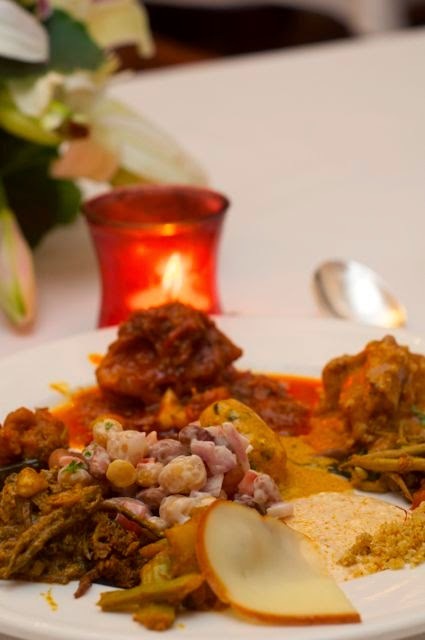 Is this the season of Indian food festivals? Residency Towers had a Goan Food festival, the Taj Club House is having a Masala Klub menu, with the outstanding Galouti that I couldn’t get enough off and now, The Residency at Park Sheraton has come up with a Rajasthani Food Festival! Chef Kailash Chand Meena, the guest chef, a Rajasthani himself has been flown down to Chennai and yesterday, he gave us insights into the Rajasthani way of cooking. The buffet started off with an excellent Dal Bati Churma, something I have never had before. 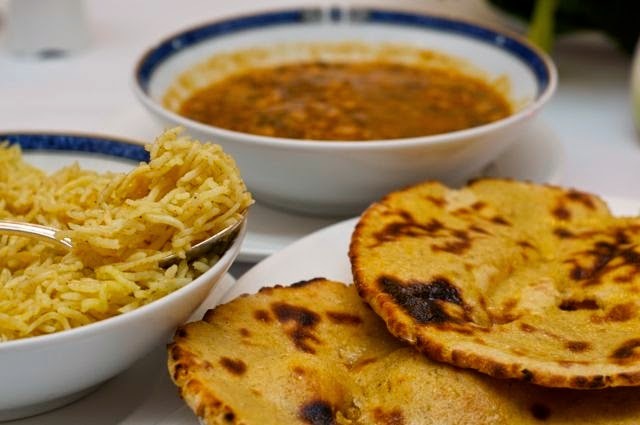 A wheat flour baked bread, a dal and a little crunchy topping together form this unique dish. 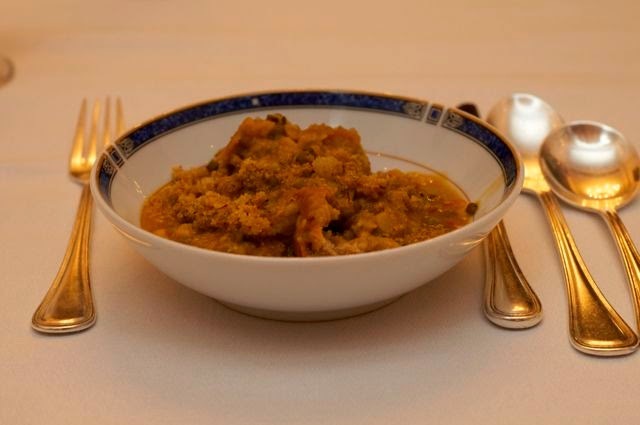 So you take the bread, crush it, pour the dal on it and top it off with the churma. It floods your palate with sweetness from the churma made with almonds and sugar, the sourness from the bread and the saltiness from the dal (if I am right, but all three were present and I am not sure if I got which flavour came from where)! 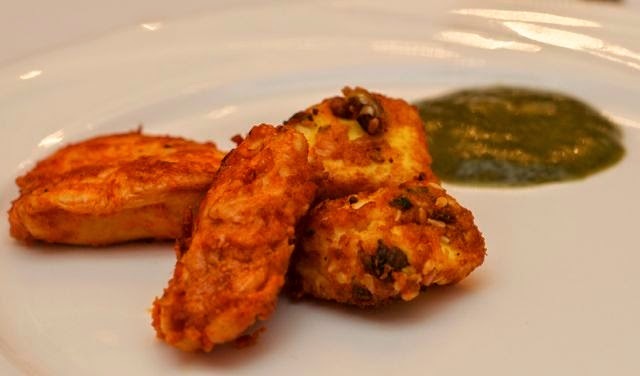 By this time the starters were served on the table which had a very average and hard paneer, and an excellent Murgh ke Parch, a succulent, juicy and spicy chicken breast pieces. While there were regular salads, we stuck to the Rajasthani part of it and had the Sangri salad, a form of beans that apparently grows all over the dessert and this was a very new flavour for me. My main course plate was filled with a sample portion of everything and I loved the two non veg dishes, the Jodhipuri Mutton Soyta, and the Murgh Khada Masala, both of which went very well with the excellent Makhi Roti, a corn roti that was just the perfect bread for these gravies. The Dhal Pinchola went well with the corn pulao, but the others were a little underwhelming for me, especially the other preparations of the Sangri vegetable. 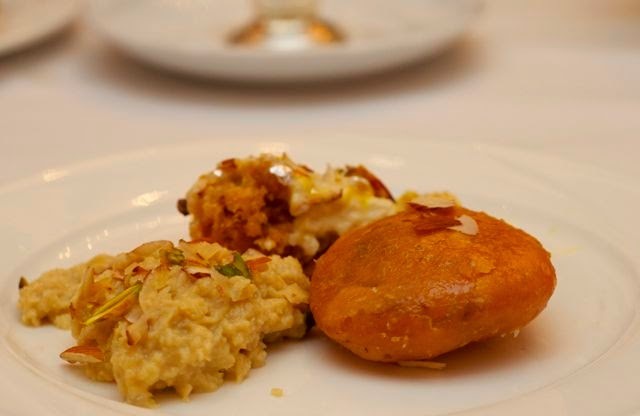 The Rajasthani desserts arrived and the Malai Ghewar was outstanding. It was crunchy and sweet and being a fan of anything crunchy that goes with food, I was floored. My friend loved the Mawa Kachori, but I wasn’t impressed, and that has nothing to do with the dish itself, but I am not a fan of the kachori type sweets, while he adores them. The chef was trying to explain the cooking and everything from the starters to dessert started off with something like, “we take lots of ghee and ……..”, so by the end of dinner, I had a ghee overload! We laughed and he laughed when we commented that everything had ghee and he went on to give us some insights about the Rajasthani way of food life! The hard work they do on the fields is apparently the best way to burn off the ghee! The festival is on till June 22nd and the menu changes everyday. The chef talks to every guest, so while you’re there, make sure you ask for him and he will be glad to assist you and even cook up something for you if possible. 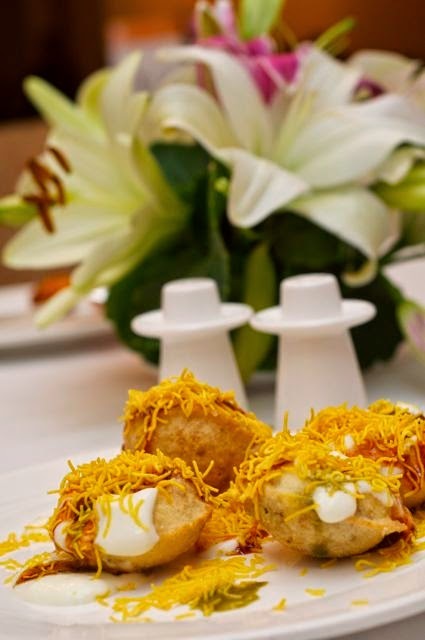 The Residency is the multi cuisine buffet restaurant at ITC Park Sheraton.